Welcome to Day 6 of 30 Days to a Food Revolution. Our guest blogger today is Jenn from Jenn Cuisine. 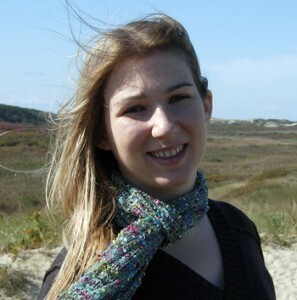 Jenn is a scientist who cooks for her gluten free husband and authors her food blog, Jenn Cuisine. She strives to cook flavorful gluten free dishes from scratch that anyone would love regardless of any gluten issues. She and her husband enjoy tasting a diverse selection of vegetables, fruits, grains and proteins. 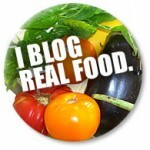 Her blog continually stresses the importance of using quality fresh ingredients. Jamie Oliver’s Food Revolution touches me quite closely. While I cannot watch the shows on tv or online where I am, I have seen his Ted Talk. Michael Pollan once wrote, “Eat all the junk food you want, as long as you cook it yourself.” The idea behind this rule of eating that he came up with is that if you had to go through the labor of prepping so many junk foods that we take for granted in our American society, we’d all eat them a lot less often. And trust me, making such holiday treats like chestnut pumpkin fritters is quite the ordeal to prep, cook and clean up! However, while in general this and many of his other rules are good guidelines to follow, I don’t think Pollan realizes just how much time I am willing to spend in the kitchen in pursuit of great taste. For you see, I am the type of person who would cook my own sweet potato fries every night, and I can readily turn breakfast into candy by cooking such delights as Maple Buckwheat Chocolate Chip Pancakes. A few years ago, I ran into this problem about my figure, and so I went to my doctor who referred me to a nutritionist. I didn’t want to put my health in the hands of some fad diet. I wanted to enact a real life-style change – because getting healthy isn’t about dieting, but about changing the entire perspective you have on your life, and your actions that then follow suit. . Managing one’s health is a bigger deal than just “Oh I wish I could fit into those jeans,” it’s something that should be taken seriously, because in the end it’s about taking care of yourself in a way that you don’t end up having to miss out on the life events that bring us so much joy. Regular meetings with a nutritionist did wonders for my concept of food and health. I talked with her about my family history, for my family has had several issues (some quite serious indeed) related to being overweight, which she said makes me especially prone to similar issues if I can’t keep things in check. She taught me what proper portion sizes were, and I also learned that variety is absolutely essential when it comes to a healthy eating lifestyle. Compounded with some very educational trips to my local farmer’s market, I learned that while I didn’t love all veggies (sorry kale), I could add produce into my favorite comfort foods and create a completely different and oftentimes better dish than the original. As I find myself approaching this point yet again, not due to eating fast food and crap but rather by relying on cooking to supply emotional comfort during some crazy stressful life events, re-evaluating how and what I am eating is more important to me than ever. Jamie’s movement couldn’t have been more timely, and for me it strikes a chord that is deeply personal. I need a slightly different attitude behind Pollan’s well-known rule of thumb, for I could make myself comfort food and sweets and indulgences all day long if I had the chance. We are all deeply connected to the food we eat – but if we choose to eat mindful of where our food comes from and its quality, the entire experience is that much more enriching. So instead of just figuring out how to cook all your favorite junk foods yourself, the better idea is to spruce up your favorite classic dishes with flavor and nutrition by incorporating fresh produce! Because my husband has a gluten allergy, we forwent the buns to make things easier. Truth be told, I did not miss them, not one bit – there was already tons of great flavor on my plate! What are you’re favorite ways to incorporate fresh veggies into classic dishes? 1. Heat a pan on high heat and add in 2 tbs. olive oil. When hot, add in onions, stirring occasionally until softened. Then turn down the heat to med-low and let cook down and brown, stirring every few minutes or so. When browned and caramelized a bit, remove from heat. 2. Heat a pan on med-high and add in olive oil. When oil is hot, sauté mushrooms until browned. Remove from heat and add to food processor along with herbs and garlic. Purée. 3. Combine purée with goat cheese until all incorporated. Divide ground meat into 4 servings, and roll each into a ball. Use your thumbs to create a well in the center of each and stuff with mushroom goat cheese and then seal each patty back up with your fingers, shaping them a little bit to look more like hamburger patties. 4. Cook burgers on a grill or on the stovetop, whichever way you like best. 5. When burgers are cooked through, plate on a bed of your favorite greens with some avocado slices and garnish with the caramelized onions. Enjoy! For more from Jenn visit her blog today for Food Revolution. It's so much fun to be introduced to all these wonderful blogs, many of which I was unfamiliar with! I love hearing all the different "takes" on Jamie's food revolution. And the wonderful recipes. This is fun! 🙂 Great burger redo, Jenn. That looks absolutely amazing, and I'm right with you about what Michael Pollan said…I'm willing to spend hours in the kitchen for something sweet. The kitchen's sort of my happy place. 🙂 But like you, I have to be careful because I can go overboard with the sweets. I've been trying to get more veggies into my meals too, which is much easier now that it's spring. I'm right there with you, girls, on being willing to hang in the kitchens and make my own "junk food." 😉 But, after a week of being dairy free and sugar free, in addition to dairy free, I'm amazed at how much better I'm feeling. Last time, I took this route, the first few weeks of detox were horrid. I'm taking this as a sign that I've been eating better in general because I haven't been eating many refined foods and I've been eating less sugar as well prior to my new personal Food Revolution. Bravo to you, Jenn, for sharing so much of yourself with us. It's so helpful to know that one is not alone. And, oh, that burger … yes, please! Not sure if I'll be eating goat cheese for a while, but I can adapt the rest and make a stuffed burger. That will make Mr. GFE happy. He can just add his cheese to the top. 😉 I love burgers with no buns. I think buns have been hiding some very bad burgers for a long, long time, frankly. My main way to get more veggies these days is green smoothies. One can easily get in up to 5 servings of green veggies in a smoothie and be perfectly content with the taste and the consistency (even kale, Jenn!). 🙂 I also like to add greens to my egg when I saute one. No weird taste … just good. Thanks for a wonderful post, Jenn! I've been learning a lot about diet and nutrition this past year. I realized a few months ago we don't (didn't) eat enough vegetables. it's hard when everyone in the house has a sweet tooth. 😀 my favorite thing now is to put vegetables in baked goods. I always tell the kids what they're eating (feel guilty tricking them) and they will usually eat it up. I completely agree with you and Iris. I'll spend all my free time making food (and then eating it!) and anything sweet gets even more of my attention! Weight management is an issue for me, so even eating the right food isn't always enough. I like what you were saying about making the food you eat a part of your lifestyle and everyday choices for your health. I'm definitely trying to that myself. It can be hard, but its also really rewarding. When I first went gluten free, I bought every cookie that was labeled gluten free. But the thing is, I never used to eat cookies pre-GF. All of a sudden, cookies were staples in my diet! Needless to say, I put on weight quickly. But I was feeling so healthy that I didn't pay it much mind. Until my clothes really didn't fit me. And then I realized that I wasn't on vacation any longer, and had no more excuses. That, combined with a slow and gradual decision to eat more healthfully, has helped me find a good balance. With Jamie Oliver's Food Revolution, and especially with Diane's 30 days to a Food Revolution, I've moved to the next level. The bloggers who have contributed their posts thus far (and this is only the beginning of the second week) have really given me food for thought. Now, when I plan and prepare meals, I'm thinking "color, variety, grains, greens" – I feel like I've shed a new skin and couldn't be happier about it. I love your idea of taking a meal/recipe and redressing it, if you will. Not sure yet how I'll apply your idea, but it will definitely go into the mix and help me as I move forward. Thank you!!! Your burgers look delicious! We aim to eat vegetarian at least once a week and I'm working to incorporate at least 2 veggies in to dinner every night. It isn't hard to do if you have a variety of fresh, delicious produce on hand. Wow! That looks FANTASTIC! I love your story, too. Thanks! Oh man, I missed a few posts because when I signed up for your newsletter, I thought I'd get each days blog post sent to my email. I have some catching up to do! Do we leave each of our contest entery comments on all of the different pages, or do we leave all of our comment enteries on each individual page? 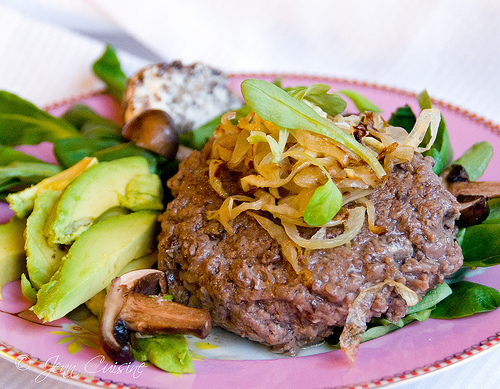 I love the idea of goat cheese in the burger! I have cut WAY down on dairy, but goat cheese is something I love. Glutenfreeforgood – Thanks! I also can't wait to see all the other great blogs that will be showcased during this event! Iris & Aubree & Shirley & Alta – it's good to know I'm not alone in my ability to pursue homemade "junk food"…..it's just as motivational for me to know that there are others who struggle with the same issues – thanks so much! Mama – my parents never concealed when veggies were in things either, I think it's great that your kids know what veggies they end up liking! Ellen – I can't wait to see what you come up with! Jenna & Cathy – Thanks so much! Alison – me too, I just adore the flavor of goat cheese! Veggies and I have not always had a great relationship, but 2 things happened when I started the Atkins diet 8 years ago… My staple "vegetable" the potato was initially off-limits, and there was a list of over 50 vegetables I could eat – most of which I had never heard of before… So, I challenged myself to try each of the veggies on the list (even ones I was sure I would not like) and then try each veggie in different preparations until I could tolerate – even like them 🙂 The other thing that happened – I realized I could not tolerate gluten – not too surprising since I have Celiac-diagnosed family members. For me, going gluten-free and learning to love veggies (and making sure that they make up the main parts of my daily food intake) came together. I love this burger! It's going on the menu tonight! Just had similar burgers the other night, though I never thought to stuff them with the ingredients (mine were all piled high on top like a sky-scraper). I will definitely be doing some stuffing next time around as this sounds delicious! I have yet to read Michael Pollan's book but have heard it referenced so many times I almost feel I have. Truly wise little snippets we can use to help us move more gracefully through life. Thank you for sharing this! I make 'chicken sausages' (or beef) to encorporate vegs. I shred potatoes w/ the food processor. if i am doing chicken I then ground up chicken thighs. i add mashed avocado and fry them up. If i have leftover veg of any kind I can puree them in the vitamix and add them too. I also add lemon to keep the potatoes and avocado from browning. these are one of the few foods that I can get my picky special needs child to eat. I call them 'hashbrowns' and that seems to work!